We have been the original source of colloidal minerals since their discovery in the 1920’s. Now it’s time to welcome a new generation of liquid vitamins and minerals to the family: supplements enhanced with the power of our proprietary recipe. This special recipe is noted for it’s ability to make the different elements in a compound work together. We combined this unique recipe with our liquid supplements for a winning combination. Try our liquid vitamins, minerals and specialty supplements enhanced with our proprietary recipe and feel the difference for yourself! 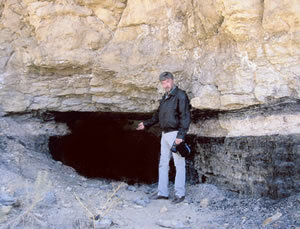 Tom Clark standing in front the original mine portal. Today we are proud to offer our most popular colloidal mineral supplement, passed down from grandfather to grandson (pictured to the right). Our colloidal minerals are all natural and truly unique. Each bottle contains up to 72 trace minerals and elements presented in a format only mother nature can deliver. Over the years our product line has grown to include: vitamins, minerals, amino acids, capsule supplements and many other specialty supplements you won’t find anywhere else. Private label supplements on the manufacturing line. 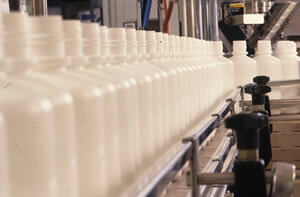 We formulate and manufacture liquid vitamins and minerals in-house. This gives us the ability to meet the demands of many different wholesalers. Private label and OEM product options are also available upon request. Additionally, we can handle custom formulations for companies that don’t have the resources to produce their own supplements. In our quest to make better products for our customers, we’ve compiled health and nutrition information about vitamins, minerals, phytochemicals and various diseases. We encourage you to use these free resources to increase your knowledge about health and nutrition.